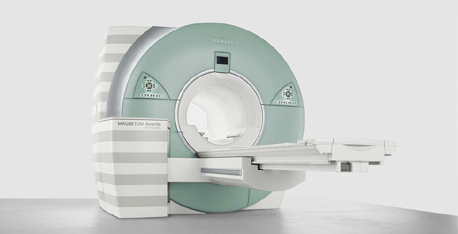 The Siemens MAGNETOM Avanto 1.5T mobile MRI is considered to be a landmark in 1.5T imaging due to its combination of Tim (Total Imaging Matrix) integrated coil technology, its dramatic reduction in acoustic noise, and its comprehensive application range up to 205 cm whole-body imaging. Furthermore, the Avanto 1.5T mobile MRI integrates Dot technology, whereas the combination of Tim and Dot result in greater image consistency and diagnostic confidence as well as greater ease-of-use. The Siemens MAGNETOM Avanto 1.5T mobile MRI also features a large, 50cm field-of-view for excellent visualization of diverse pathologies, and with strong gradients, you can expect high-resolution images with shorter scan times. The Avanto 1.5 Tesla unit is best known for its outstanding uniformity in its head and body Matrix coils.